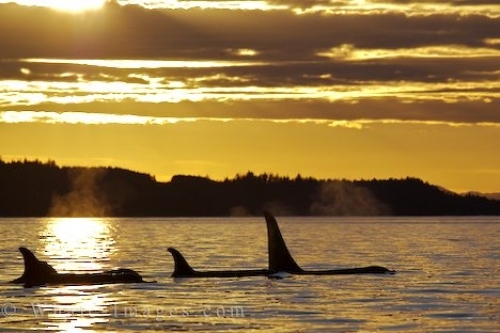 Order your quality tile of "Killer Whale Pod At Sunset Northern Vancouver Island" now! Photo of a Killer Whale pod resting while a beautiful sunset fills the sky off Northern Vancouver Island in British Columbia. "Killer Whale Pod At Sunset Northern Vancouver Island" tile!